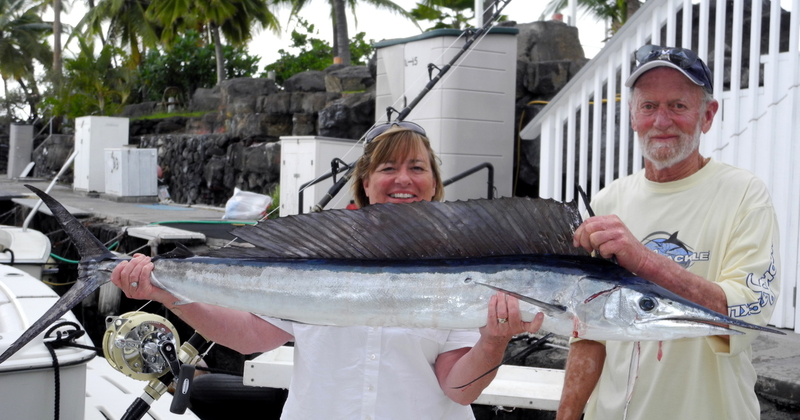 Marlin fishing in Kona HI is certainly exciting! Just ask Tom Anderson from Sacramento, CA (center) and his Mom Joyce. On the third day of fishing, an hour into the day, the stinger was hit. 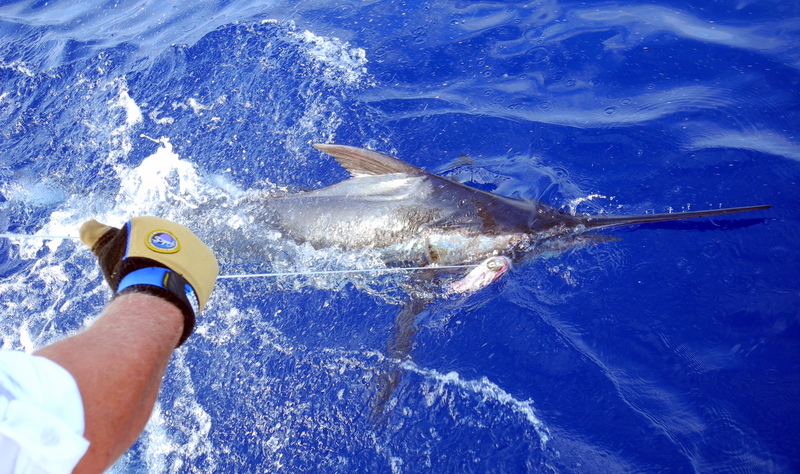 Tom jumped in the chair and battled the Blue Marlin for forty minutes. 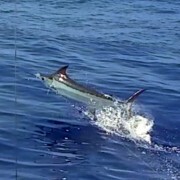 Once he got the line back to the rubber band he was just another 40 feet until leader and the fish was off. Ouch! Tom had intended to release the fish, no matter the size anyway. 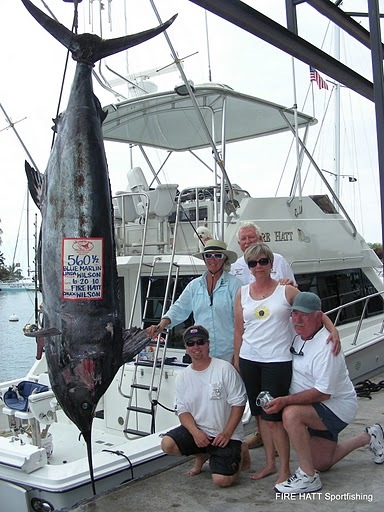 The fish was estimated to be at least 400+ pounds. With lines back in the water, we headed after another one. Ten minutes later, the Short Rigger is bit. After just seconds, the fish was off. Just enough excitement to get the pulse racing. 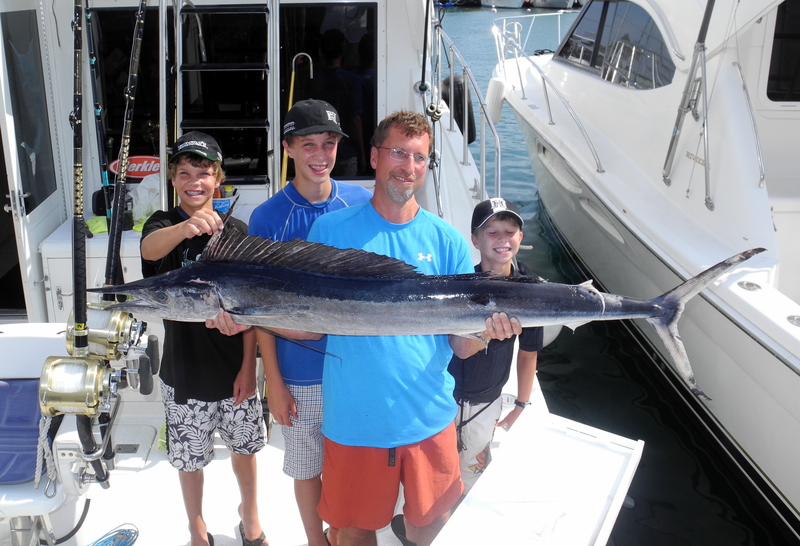 Now without another bite, we are headed back to the harbor and we have a double! 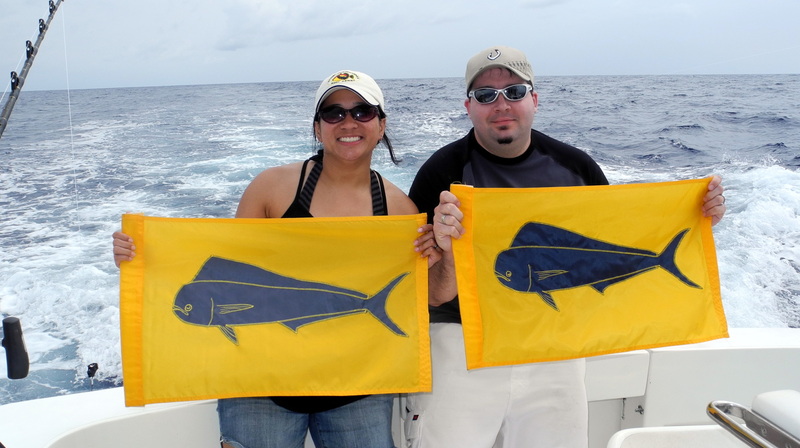 One is off and the other turns out to be a Shortbill Spearfish. 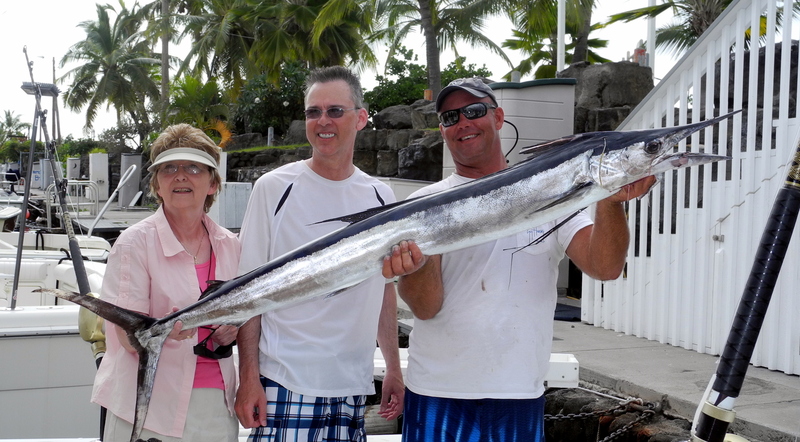 Tom jumped back in the chair and finished what he originally wanted to to, land a trophy fish. 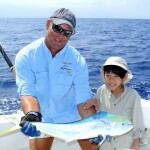 Tom originally planned for two days of fishing. When we went two days without a fish, he wanted to give it one last try. Third time is indeed a charm. Lucky Linda Lure is Back!